Contact Tennessee Defective Drug Lawyers The Law Offices of John Day, P.C. Generally, there are two types of compensation available in personal injury and wrongful death actions: compensatory damages and punitive damages. 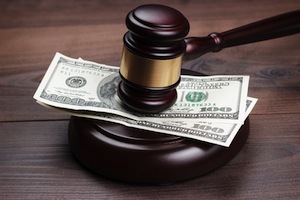 However, special rules apply to punitive damages in product liability cases. For instance, a manufacturer or a seller is not liable for punitive damages if “(1) the product was designed, manufactured, packaged, labeled, sold or represented in relevant and material respects in accordance with the terms of approval, license or similar determination of a government agency; (2) the product was in compliance with a statute of the state or the United States or a standard rule, regulation, order, or other action of a government agency pursuant to statutory authority . . . “ And even more special rules apply in the context of product liability actions involving manufacturers of drugs and medical devices. In addition, tort reform has affected the amount of compensatory and punitive damages that may be awarded by either a judge or jury. If the injury or death occurred after October 1, 2011, punitive damages are generally capped at $500,000 or two times the amount of the compensatory award, whichever is more. The rules concerning compensatory damages are a little bit more complex and are explained here and here. If you would like to discuss your potential defective products liability case with one of our award-winning attorneys, please contact us online or call us at 615-742-4880 or toll-free at 866.812.8787. We will sit down with you at our office or the location of your choice and discuss your case, answer your questions and explain your legal options in clear terms. We handle all defective product cases on a contingency basis which means we only get paid if we win.